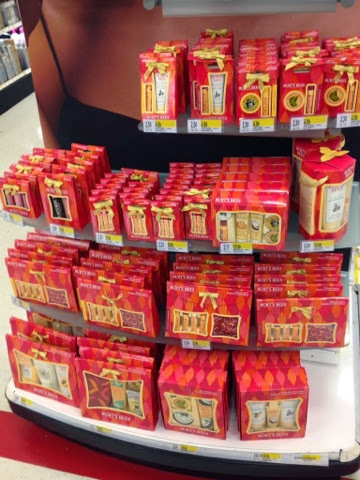 This is a pic heavy post with all my holiday sightings I found at Target on a recent visit. Some pics are a little blurry so sorry in advance. But I was trying to hurry up as I was already taking longer than I was supposed to as usual. E.L.F. 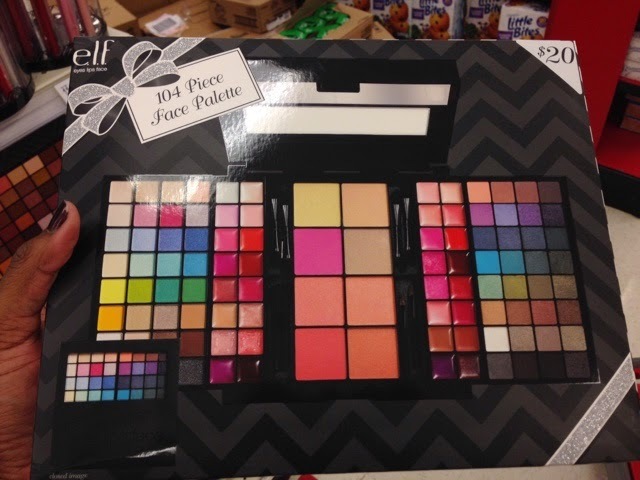 7 piece duo eyeshadow set, $100. 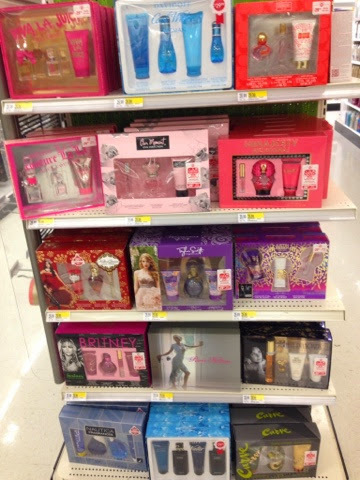 It was hard to capture pictures of this set so I just took a pic to show all the items included. 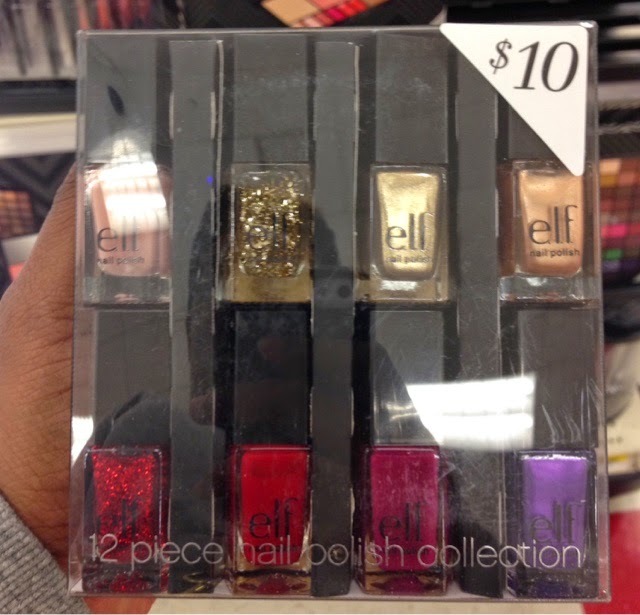 This set can be seen at the bottom of the E.L.F. 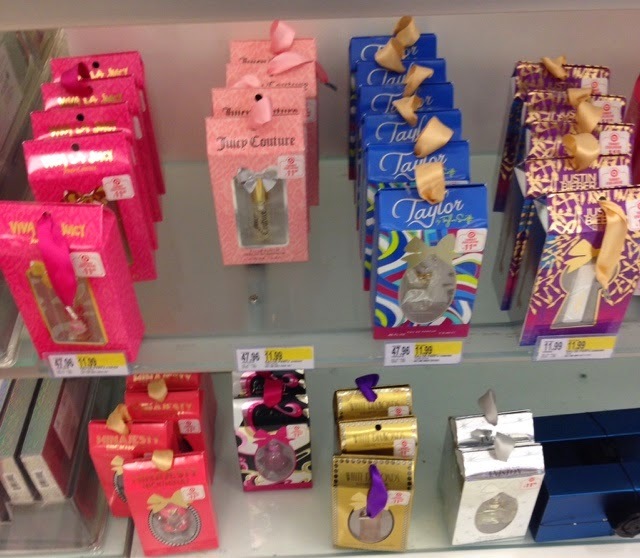 display (pictured at he top). 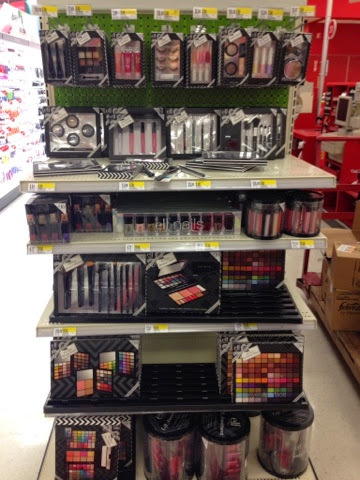 The display was new and pretty much full but there was an area that was cleared out of these palettes. 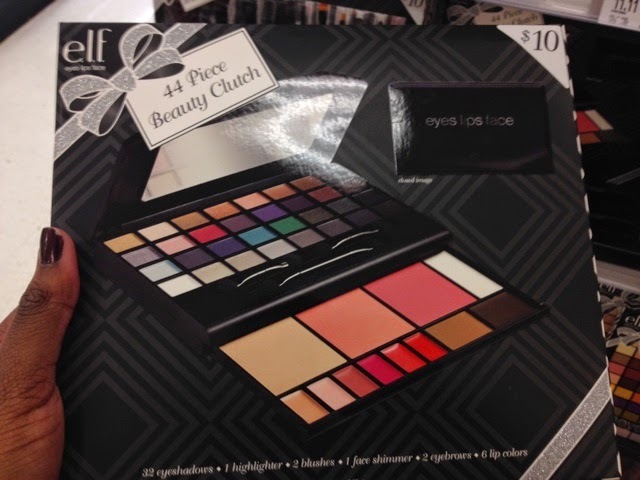 I think this has an excellent range of colors and would be an excellent gift for any makeup enthusiast especially one just starting out.I was tempted to buy it myself but I have a similar palette already. 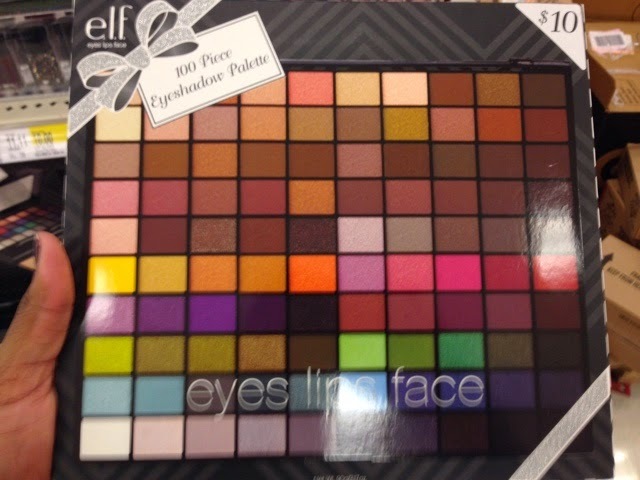 Features 32 eyeshadows, 1 highlighter, 2 blushes, 1 face shimmer, 2 eyeshadows and 6 lip colors. 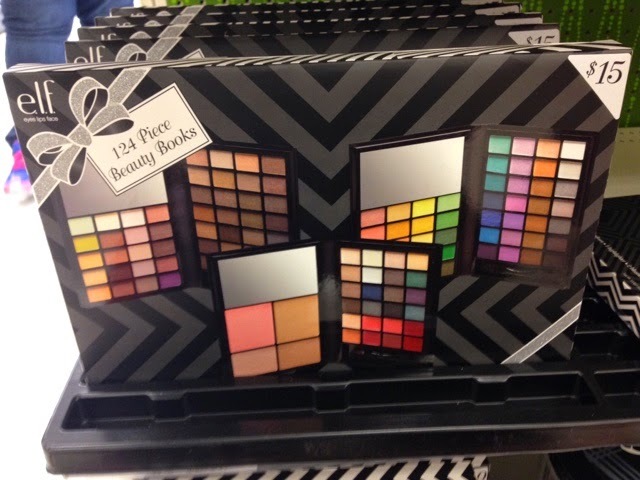 This is an all around great palette and would be my top pick out of all the palettes. 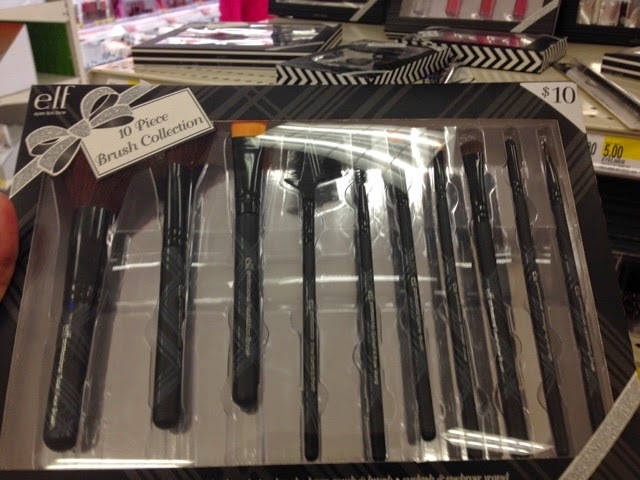 Includes Brow & Brush Comb, Powder Brush, Eyeshadow Applicator, Concealer Brush, and Angled Blush Brush. All are travel-sized and come with faux leather portfolio to store them. 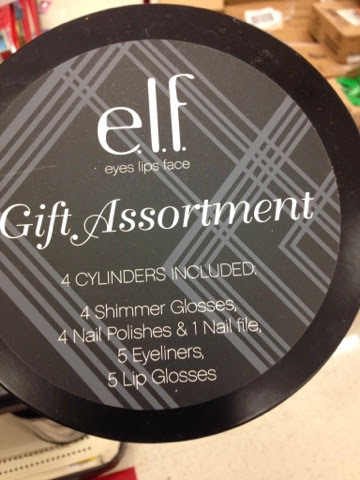 Target always carries these duos around the holidays in fun prints. I'd wait until the deal comes along that usually gives you a free $10 gift card. 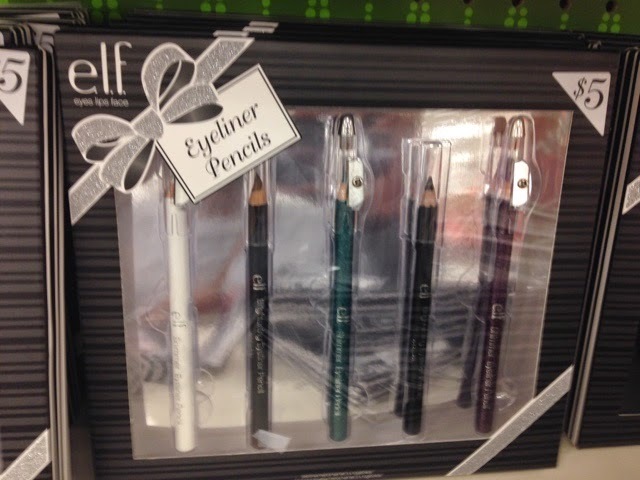 And last year on Black Friday it was on sale if I remember correctly. 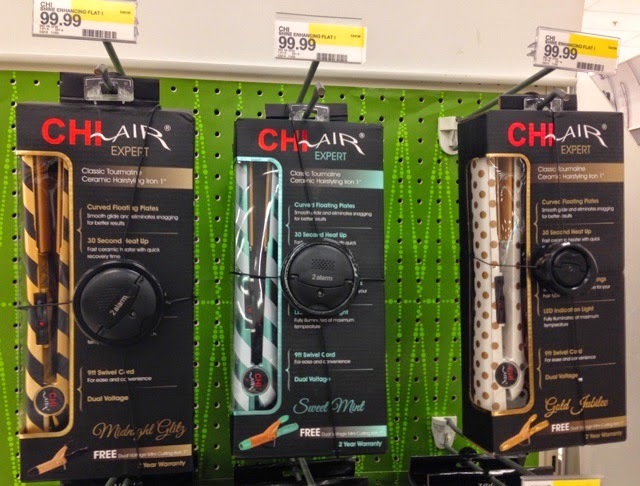 These all comes with a free mini dual voltage mini curling iron in a complementary color. There was so much and this post has so many pics already that I just decided to make a collage. 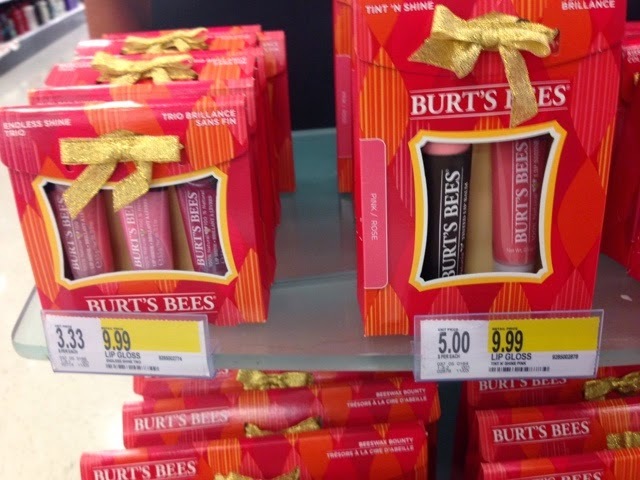 Prices range from $3.49 for the new vanilla single lip balm to $14.99 for the larger gift sets. If you'd rather see closeups let me know and I'll edit the post. 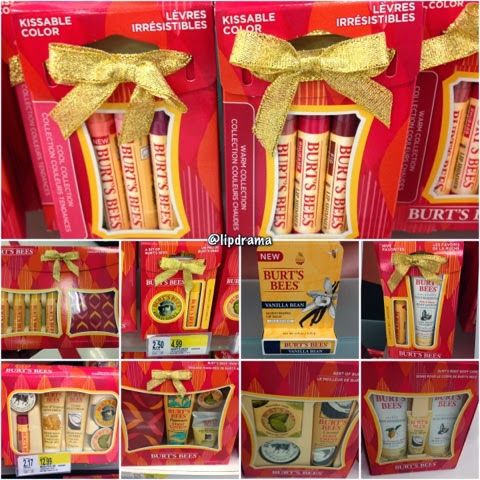 But Burt's Bees is not really makeup related all that much. Here's a closeup of the lip sets I forgot to include in my collage. 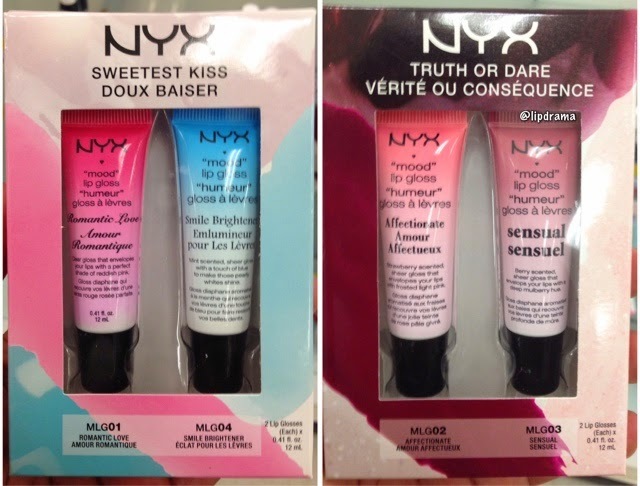 These "mood" gloss duos were the only holiday sets I saw from NYX at my Target. I know others have been spotted elsewhere but that's all I saw. 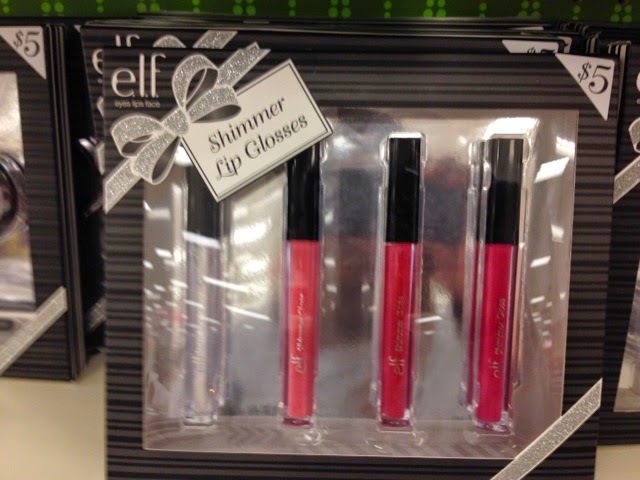 These glosses go on clear than self-adjust to your perfect shade. Romantic Love adjust to your perfect shade of reddish pink. Smile Brightener enhances your smile with blue micro-crystal technology that illuminates your smile. 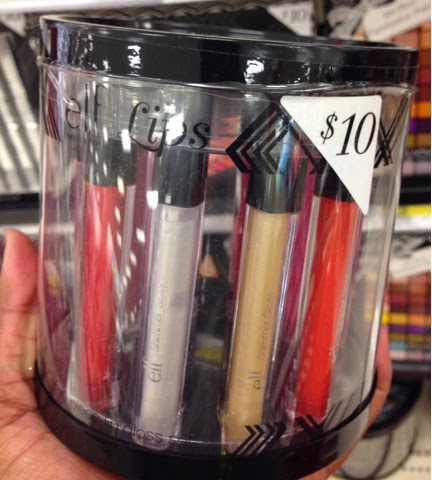 Use alone or on top of your fave lip product. Affectionate adjusts to an adorable pink shade. Lastly, Sensual adjusts to the best plum shade just for you. 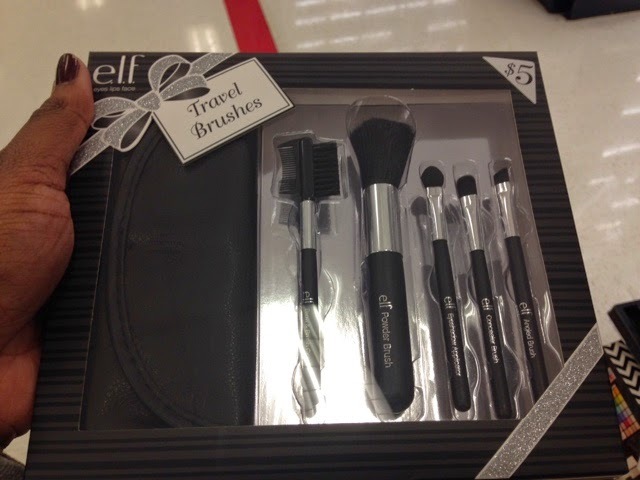 I think these are great sets that give you an excellent price as well as the opportunity to have a selection from the line and not just one product. These are all mini sprays that come complete in a nice gift box that can easily be hung on the tree as a nice little treat. These do come in a larger size than the ones included in the sets, however, I think the sets offer more bang for your buck. 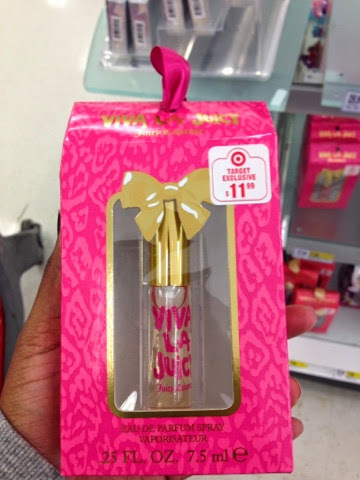 But I love the cute packaging! That was a long one. 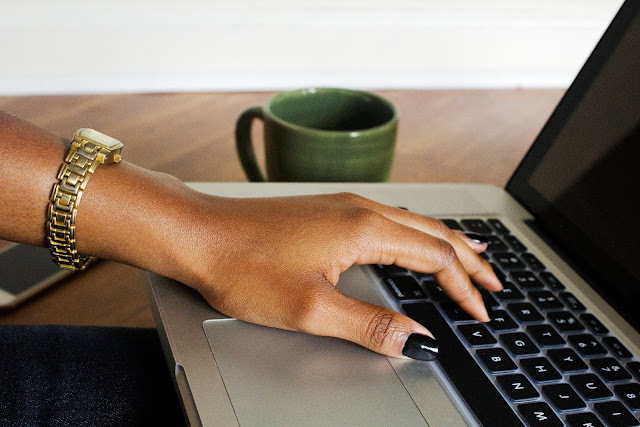 So did anything catch your eye? 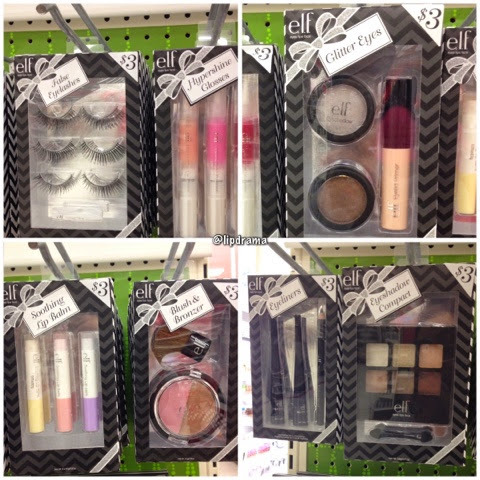 Planning to make a Target Run now? If so, let me know what you're gonna get.